Go to South India. If there is a time for sunrise, then just get out of the street. Go around the houses, temples. A voice will surely squeeze the hearts of hearts through your ears. Bharat Ratna Voice of MS Subbalakshmi Voice of Venkatesh Subhashatam Vishnu Sahasranama Ka Sur His hymns proclaim the new dawn in life today. The Sun is like the first ray, which gives the possibility of filling your life with light. 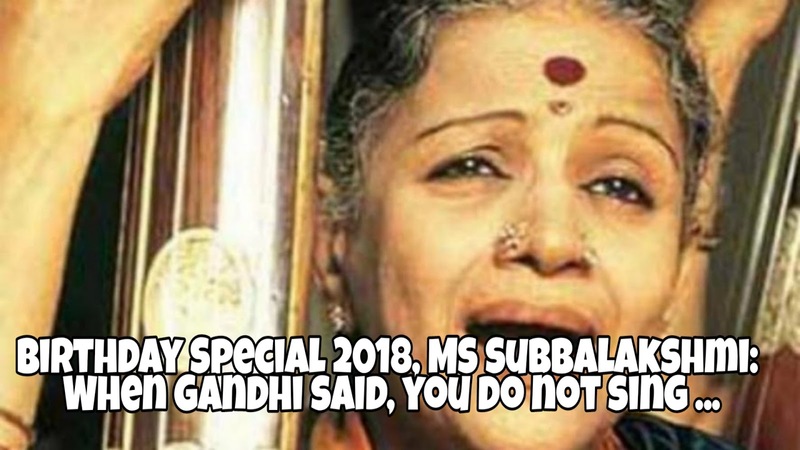 This is the same subbalakshmi, popularly known as MS, about which Pandit Jawaharlal Nehru had said that what is the front of the Queen of Music ... only a Prime Minister? 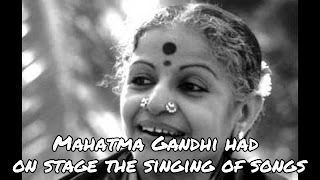 Mahatma Gandhi had said that he would read only the hymns of my choice, then he would be better than any other singer or singer's song for me. Until then, MS had never sung in Hindi. They thought that the bhajans should be sung by someone else, who came from Hindi well. Gandhiji then said that if you would rather read than sing, even then he would be better than someone else's song. 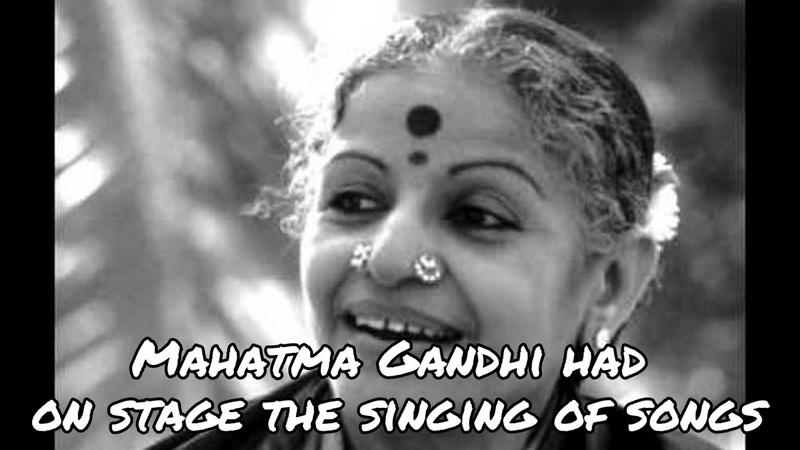 Obviously, Gandhi's favorite hymn was sung by MS.
102 years have passed. Goddess of Suron was born on September 16, 1916. The place was Madurai. In the Devadasi family, a daughter was born in Kunjamma and Shanmukhavdiwi's house. Name was Subbalakshmi. M / s. Subbalakshmi M means Madurai, where she was born. S to Shanmukhavdh means the father's name, which is applied in the South Indian tradition. The father of Subbalakshmi used to play Veena There was a musical family. 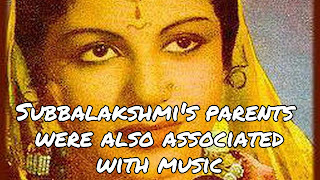 Subbalakshmi also started learning music. MS Subbalakshmi s education in Karnataka music From Pandit Narayan Rao Vyas from Srinivas Aiyar and from Hindustani music. 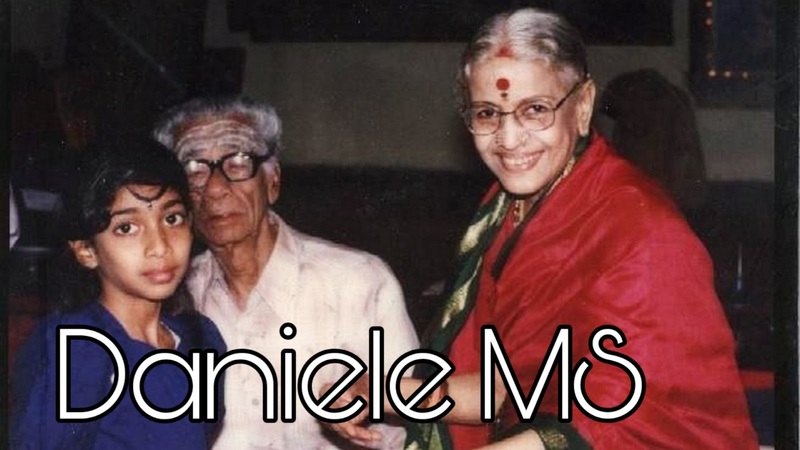 At the age of eight, Subbalakshmi gave her first public performance. He was also singing at the festival in Kumbakonam. At the age of 17, he gave a public performance at the Madras Music Academy. 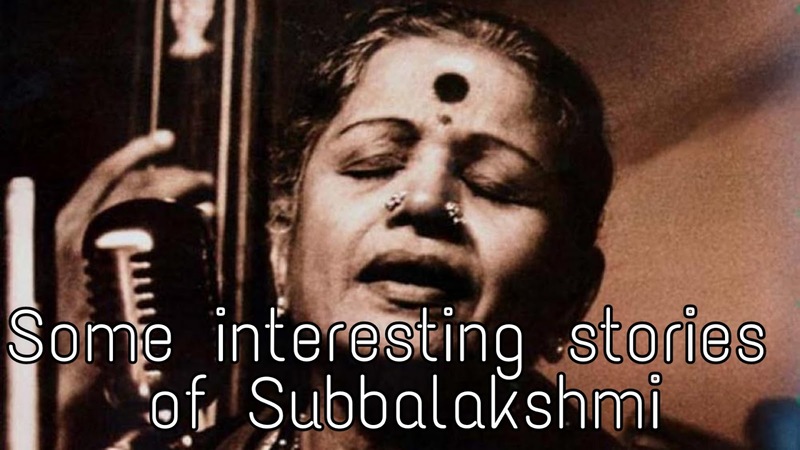 In 1936, Subbalakshmi met T. Sadashivam. They were freedom fighters. Sadasivam was married His wife died in 1940, after which Subbalakshmi married him. Sadashivam's Subbulakshmi has a very important role in the career. Subhalakshmi, also known as MS, has also worked in some Tamil films. His first film came in 1938. Name was the service day They did many roles, in which there was a male roll. That roll was Narada Muni's. The movie was Savitri. In Meera they did a roll of Mirabai. He sings praises of Mira. After some time, he stopped working in films and started paying more attention to singing. MS Subbalakshmi has all the tales of simplicity. It is said that in the morning when his name came in the newspapers that Bharat Ratna was being given, he was sitting in his house with a mixture of turmeric on his face. There was only one comment- 'Why are they giving me all this ....' Not an insult to honor, this is a picture of their simplicity. What is the meaning of any respect for those who have given their entire life to the needy? It is said about them that they did not demand VIP treatment or five star luxury to come to a concert. Listen to another story of their simplicity. His son's school had a friend's wedding in the school. As a formality, he called MS. Surprisingly, when he reached Bangalore at the wedding. There he sang the song there too. The people in Nadoswaram suddenly felt that the voice of MS Subbalakshmi was coming. They stopped playing. There was silence in the wedding hall. Just the voice of MS was buzzing. Take care, they did not have any children. He always gave his mother's love to her husband's first marriage. He also adopted a niece of Sadashiv ji. Among these stories of simplicity, one story unfolds a different look. It's a matter of 1937. Two girls came to a photo studio in Madras wearing sari. There they changed clothes there Wearing striped pajamas suit. Made a Pose in front of the camera. Both had cigarettes in hand. Yes, one of these was MS Subbalakshmi. 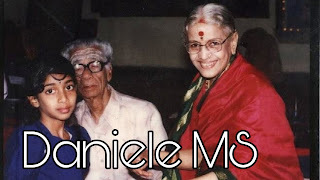 The second lady was Bhanatyam dancer Balasaraswati. Both of them went to the pic to make a little fun. Douglas Knight has written in Balasaraswati biography that both were from a very strict conservative family. Both of them went to the photo studio to experience a little independence. They dressed in Western civilization, who were actually sleepwear and acting cigarettes. For the first time in 2010, this picture became public, which was part of this biography. Douglas Knight, who wrote biography, was actually the son-in-law of Balasaraswati. Balasarwati's grandson Aniruddha Knight had told in an interview that both of them never wear western clothes, neither did they ever smoke. Simply, the picture was taken to look something different. Throughout my life the concert came as much money was donated by MS Subbalakshmi, there is no addition or value to it. It is said that MS went on concerting for social and national work. They donated millions of rupees according to today's date. He has done more than 200 concerts for charity. Raman Magsaysay, Padma Bhushan, Padma Vibhushan and MS Subbalakshmi, who became Bharat Ratna in 1998, died on December 11, 2004. It's been 14 years. But still it is in the morning, then the voice comes to honor some life. With new expectations, with the possibility of filling life with light. As it was in the beloved hymn of Gandhi - with the desire to defeat the heart. Why did Amitabh Bachchan want to keep away from politics, Indira Gandhi?